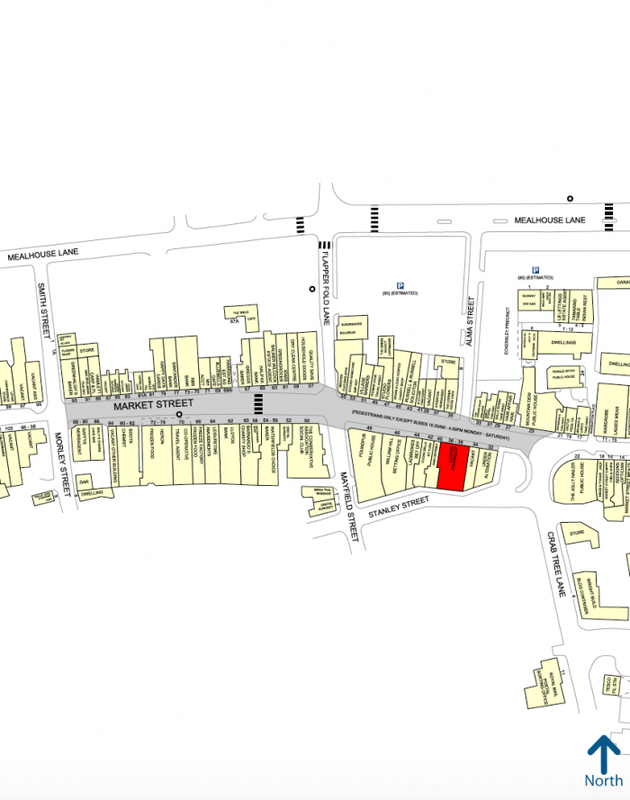 The unit occupies a mid parade position fronting Market Street and close to its junction with Crabtree Lane. Cucina Bella is located next door with other nearby retailers including Ladbrokes, Thomas Cook, Quality Save, Greggs, Lloyds, Heron and RBS. There is street parking available immediately to the front of the premises. Term: A term of 15 years expiring 30 November 2020. Current Rent: £15,936 per annum. Rent Review: Based upon RPI increases at the expiration of every third year of the term. The premises are to be re-assessed for rating purposes.